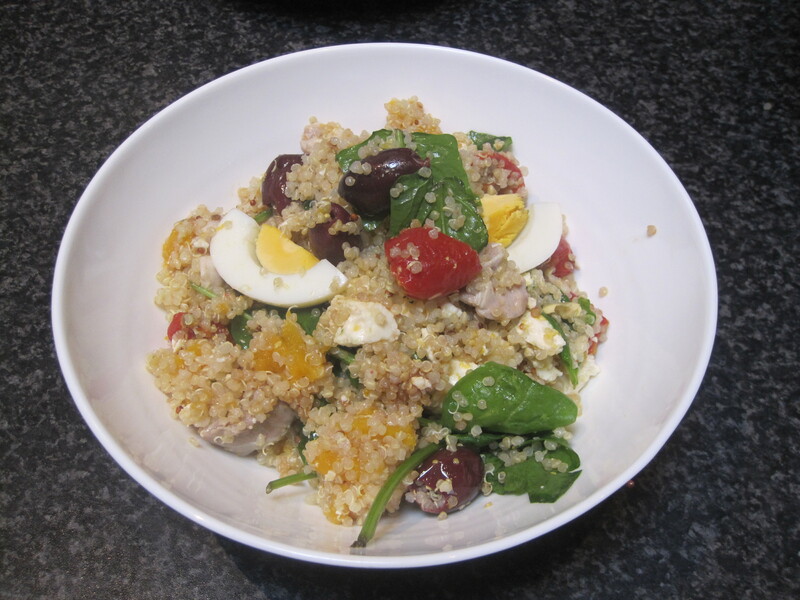 One of my lovely colleagues at Thermomix passed on this amazing salad recipe – thanks Melinda! I made this salad at home recently, to serve with a piece of steak & also made it at a demo, to rave reviews. This salad is full of flavour & colour, but like so many Thermomix recipes, is so very easy. This salad is especially delicious when you make your own Mayonnaise in your Thermomix. 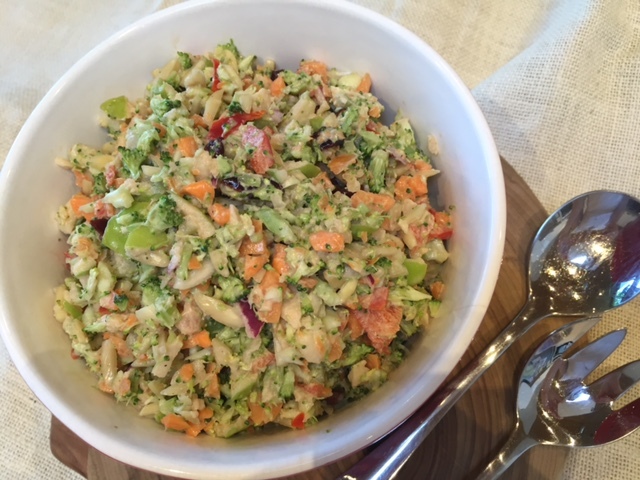 This recipe is actually based on the Broccoli Salad from the Everyday Cookbook & Janine Babauskis modified the recipe as it is today. 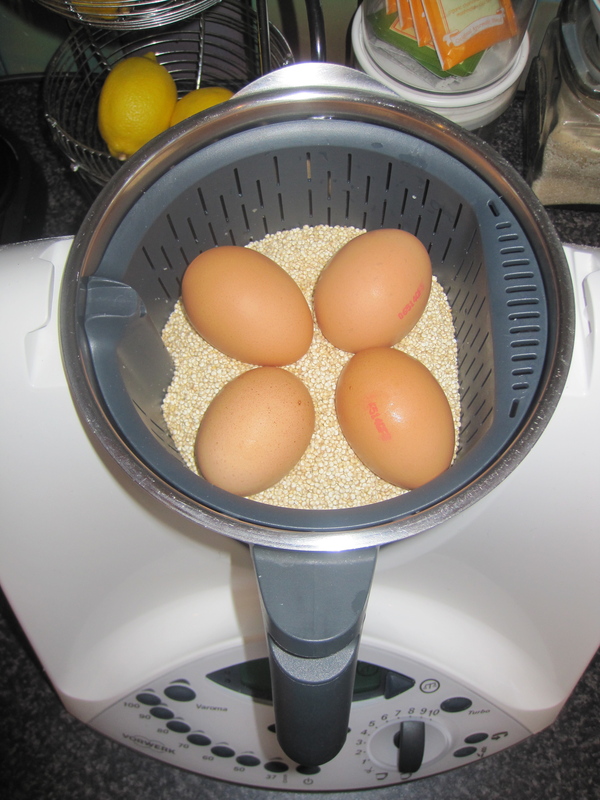 Janine used to work for Thermomix & there is not much she doesn’t know about her Thermomix. She also presents many of the cooking classes at the Alyce Alexandra cooking school in South Melbourne. If you receive a Thermomix owners newsletter from me, you’ll know I’m a huge fan of Alyce Alexandra & their classes. By going along to any class, you’ll pick up so many tips from Janine, not just about your Thermomix, but cooking in general. 2) Scrape down the sides of the bowl & repeat chopping for 1 second at a time/speed 4.5, until desired consistency is reached. 3) Add craisins, almonds, mayo, syrup & salt, stir 5 seconds/reverse/speed 3, or until combined. 4) Taste & add extra syrup or salt if required. If you’re making your own mayonnaise in your Thermomix, make it first & scrape out the mayo into a jar or bowl. You won’t need to clean the bowl, just add the salad ingredients & start the recipe. I’ll usually have my TM spatula handy, in case I need to mix the salad through the lid. Feel free to add ingredients to your mayonnaise – the recipe in your cookbook is a basic mayo. You can add things like garlic, parmesan or apple cider vinegar for a different flavour. 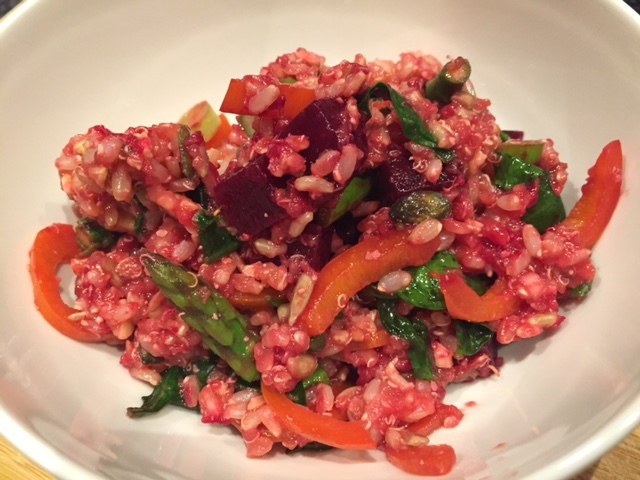 I recently had the pleasure of seeing this version of the Brown Rice Salad being made by my Group Leader at one of our cooking classes. I have to say, I was so impressed, that I made sure I shared the recipe on my blog. I’ve had a Thermomix for 5 years now & had never made this recipe from the Everyday Cookbook or the Basic Cookbook. It wasn’t until I saw it being made & then tasted it, that I realised what an amazing dish this is. The salad is vegetarian & vegan without feta (which is optional). The quantity in this recipe would feed at least 8 adults. I personally usually halve the recipe when I make it & still have enough for a few lunches or dinners, as it keeps in the fridge for up to 5 days. Cooked in layers, using the Varoma, the recipe also incorporates some new steaming techniques using baking paper. By creating a platform on the base of the Varoma dish with two forks, you can pack the dish with parcels of food. This allows you to cook each vegetable to it’s perfect cooking time – cook beetroot the longest & add the lighter veggies for the last 5-6 minutes. This technique also prevents different foods ‘bleeding’ into each other during the cooking. See the notes for more details & photo’s! Thanks for sharing this lovely version of the recipe Michelle Moss! 1)Weigh brown rice & quinoa into the simmering basket. Cover with cold water & soak for at least 1 hour (or up to 24 hours). 2) Insert the simmering basket (containing rice & quinoa) into TM bowl & add 900g water. Cook 15 minutes/Varoma/speed3. 4) Place 2 forks or chopsticks on the base of the Varoma dish (see photo’s in Notes), then place the parcel of beetroot on top of forks. Insert Varoma, cook 12 minutes/Varoma/speed3. 5) Add the asparagus & capsicum parcels to the Varoma dish, cook 6 minutes/Varoma/speed3. 6) Remove the Varoma dish & carefully check that vegetables are cooked to your liking. 7) Place spinach leaves in a large salad bowl. 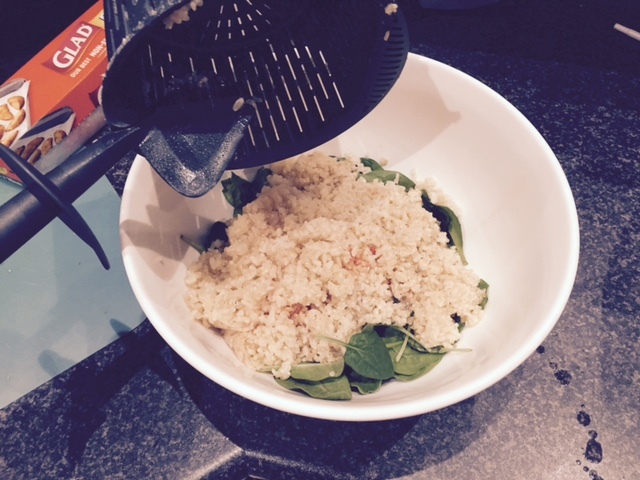 8) Remove the simmering basket & pour cooked rice/quinoa over the leaves. Add cooked vegetables, nuts, seeds & spring onions. Gently toss to combine. 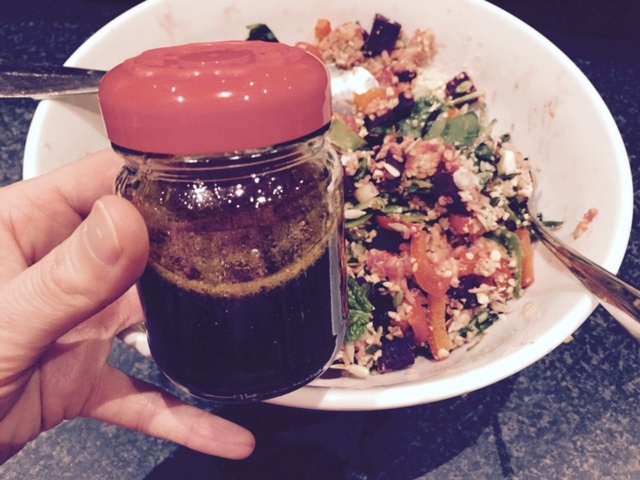 9) To make the dressing, combine oil, lemon juice & soy sauce in a small jar. Shake well, pour over salad & toss to combine. Top with crumbled feta. Season with salt & pepper. Serve warm or cold. Placing 2 forks or chopsticks in the base of your Varoma dish, creates a platform that allows steam into the Varoma, so you can pack your dish full of food. For this recipe, the parcel of beetroot does in the Varoma dish first, as it takes the longest to cook. Add additional parcels of vegetables according to the cooking time they require. I add all the ingredients for the dressing in a jar & shake well. You can pour it all over the salad, or keep some for the leftovers. The dressing could also be mixed in your TM bowl on speed 6 for 5 seconds. When soaking the rice & quinoa, the basket fits into a Thermo Server. This is one of my favourite salads & my whole family make if on a regular basis. 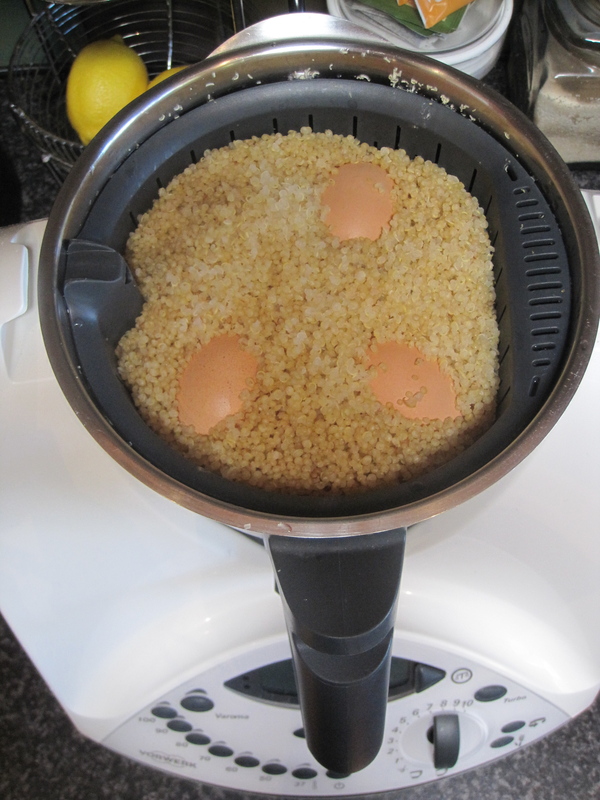 I’ve made it at a few Thermomix demonstrations & I’m always asked if this is on my blog. The flavours are lovely & personally I think the currants really make this dish. Every time I take this salad to a BBQ, without fail, someone always asks me for the recipe. 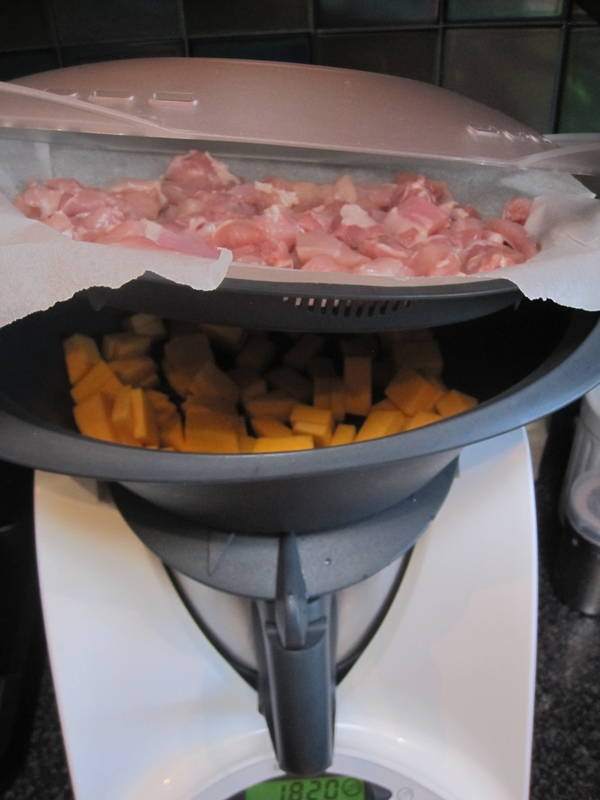 Everyone always asks how I chopped the carrots so fine & of course that’s when I start raving on about my Thermomix! 1) Place mint & parsley into TM bowl & chop for 5 seconds on speed 7. 2) Add carrots & dry spices & chop for 3 seconds on speed 5. 3) Check the size of the carrots & chop for another 1-2 seconds on speed 5. Be careful not to over chop. 4) Add remaining ingredients & mix 5 seconds/reverse/speed 3. The key with this salad is not to over chop. If you chop on any speed over 5, you will literally end up with carrot juice. It’s best to only chop for a few seconds & then chop for a second or two more if necessary. I follow a number of Thermomix bloggers & ‘ThermOMG’ has posted a list of dishes that all Thermomix owners MUST make. This salad is from Quirky Cooking & there are a few more of her dishes on the list. I made this for dinner this week & as you can see from my photo it looks delicious! My husband & I had it for dinner one night & then I ate it for lunch, 2 days in a row. The beauty of this dish, is that you cook everything at once in layers, which saves time & energy. I’ve added my own spin to the dressing, but you can really dress it with whatever you like. I also drizzled over a little ‘Vino Cotto’ for extra flavour. You can also add anything you like to the salad – smoked salmon, tuna, salmon, flaked trout, nuts, currants, seeds…..the list is endless! 1) Weigh boiling water into TM bowl. 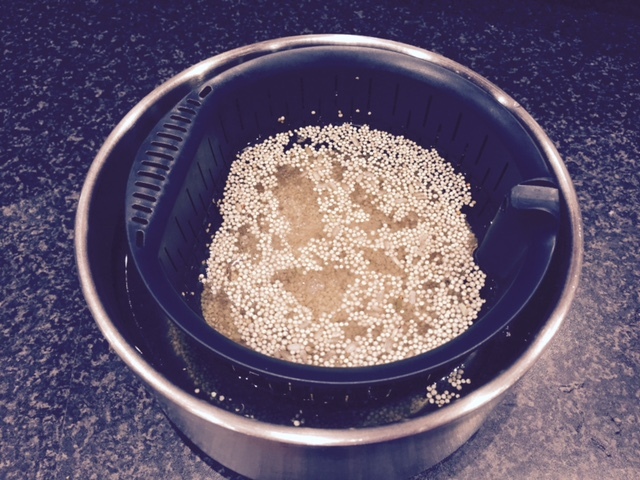 Insert rice basket, re-set scales & weigh Quinoa into basket. Place eggs on top of Quinoa. 2) Line the Varoma tray with baking paper & add chicken pieces. Add pumpkin to the Varoma dish. 3) Place Lid on TM bowl & set Varoma into position. Cook for 20 minutes/Varoma temperature/speed 4. Check that the chicken is cooked & cook additional few minutes if required. 4) Once cooked, carefully remove eggs from the rice basket using tongs (as they will be hot)! This is what the quinoa & eggs look like after cooking. 5) Place baby spinach leaves into a large salad bowl. Add cooked chicken, pumpkin & quinoa. Add all other ingredients, including peeled & quartered boiled eggs. 6) Pour dressing over salad ingredients & gently toss to combine. I use disposable food handling gloves & gently toss the salad with my hands. Garnish with pine nuts or sesame seeds. Empty excess water from TM bowl, but do not wash it. Add all ingredients to bowl & mix 6 seconds/speed 6. 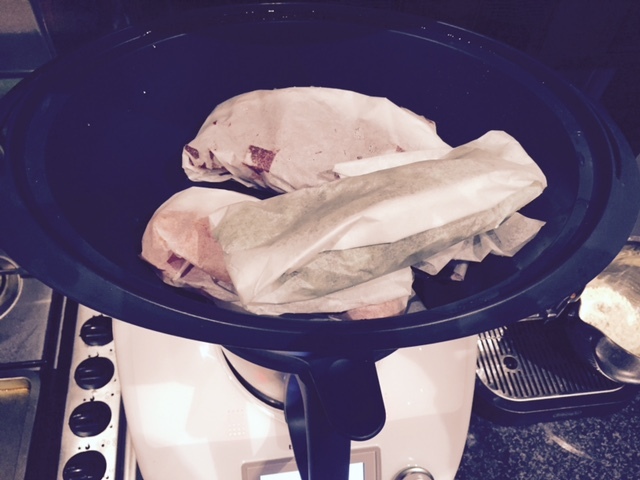 I always steam my meat on the Varoma tray, lined with a piece of baking paper. The baking paper makes for very little washing up (everything just needs a rinse). 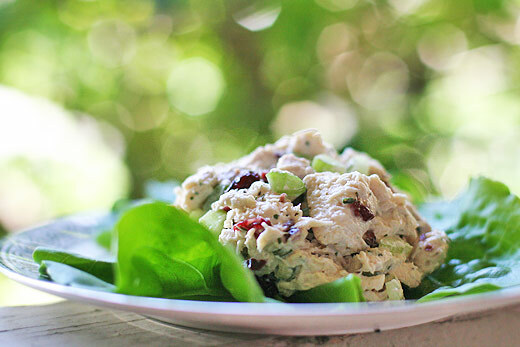 This summer salad can be served so many ways – with some baby spinach & salad greens or pita bread as a main meal or as a filling for sandwiches & wraps. Toss through some cooked quinoa, or replace the mayonnaise with natural yoghurt for a low calorie option. 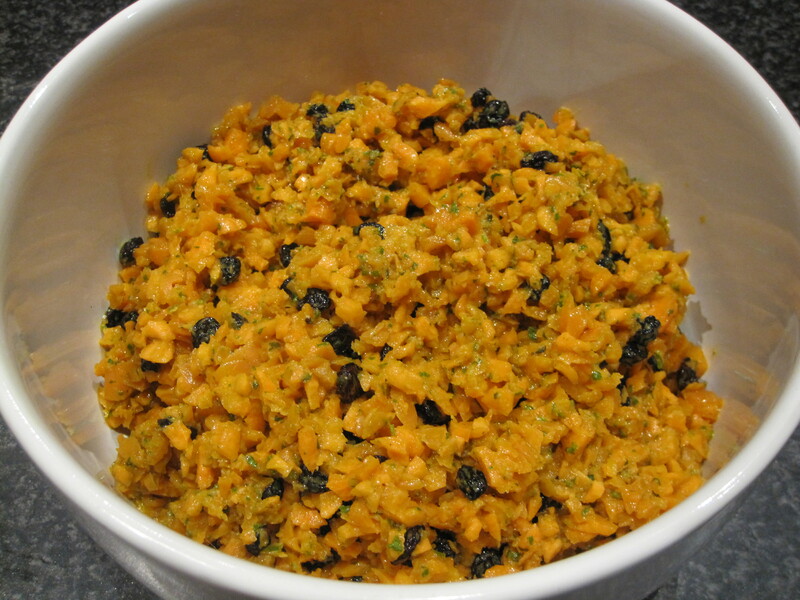 I’ve frozen this in portions, so can add to a salad or wrap anytime for a quick lunch. 1) Line Varoma tray with baking paper & place diced chicken on tray. Add boiling water to TM bowl, set Varoma into place & cook for 15 minutes/Varoma temperature/speed 3. Check the chicken is cooked & cook for a more minutes if required. 2) Set chicken aside to cool slightly. Chicken can be cooked ahead of time & placed in the fridge. Clean & dry TM bowl. 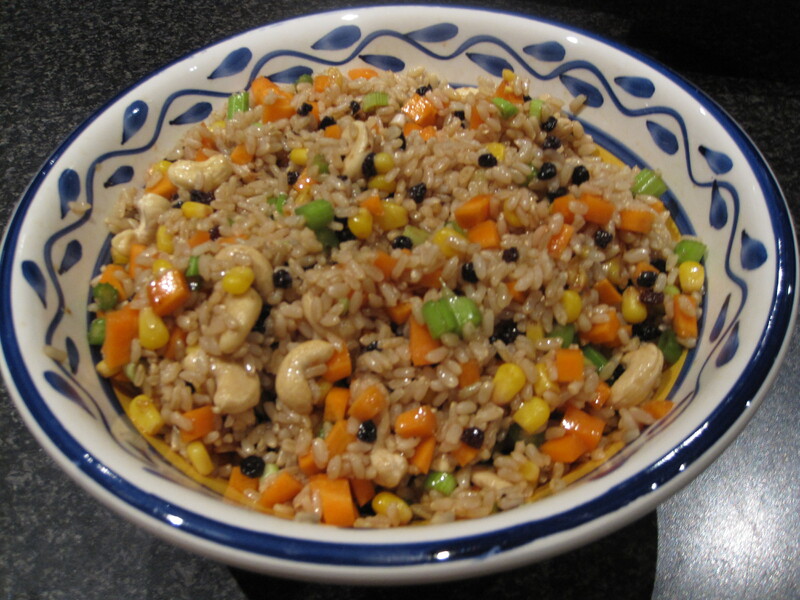 3) Place all ingredients, except chicken, in the TM bowl & chop for 4 seconds/speed 4. 4) Add cooked chicken & mix for 5 seconds/reverse/speed 3. Salad can be pre made & refrigerated up to 24 hours before serving. 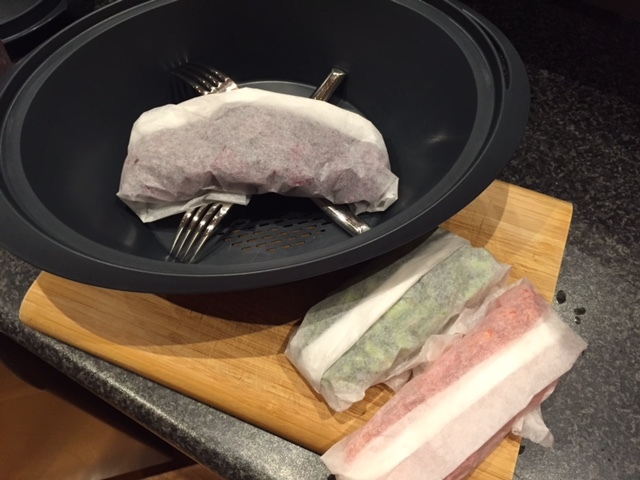 Lining the varoma tray with baking paper when cooking chicken, means there is hardly anything to wash up!